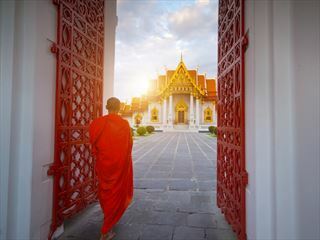 Explore Thailand’s diverse treasures, from national parks to golden temples, traditional villages and riverside towns on our 13-day escorted tour. 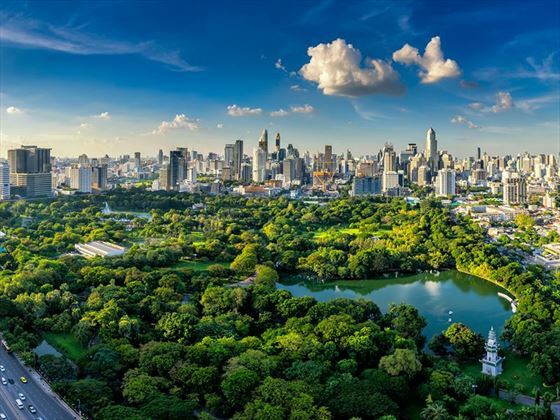 The adventure starts in the capital, Bangkok, and heads west to Kanchanaburi and the infamous Bridge on the River Kwai. Then you’ll head north to parks, villages, elephant sanctuaries and hilltop temples. 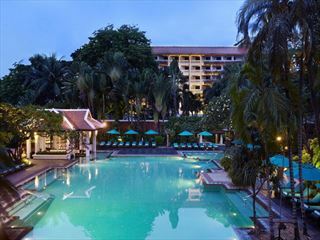 Highlights include getting up-close to Asian elephants, touring Bangkok by long-tail boat and wandering the ancient ruins of Sukhothai. You’ll also get the chance to visit ornate Thai temples and learn about war history in Kanchanaburi. Immerse yourself in nature at Doi Inthanon National Park, visit rural villages and temple-hop your way around the northern capital, Chiang Mai (BRT-BAWTBB). Tour Bangkok by boat, visiting puppet shows, temples and taking a street-food tour. Wander the UNESCO-listed ruins of Sukhothai National Park. Meet the locals on rural village visits, including to a long neck hill tribe. 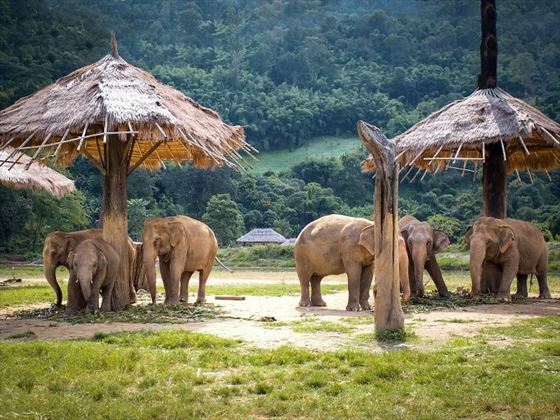 Get up-close to Thailand’s most iconic animal at the Elephant Jungle Sanctuary. Learn about WWII war history in Kanchanaburi, visiting the Bridge on the River Kwai. 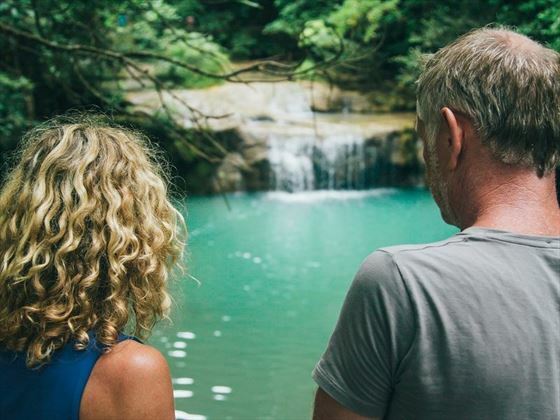 Visit caves, mountains and waterfalls in Doi Inthanon National Park. Temple hop around Chiang Mai, the cultural hub of northern Thailand. Welcome to Thailand! 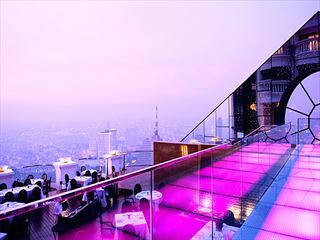 Settle into a Bangkok hotel and get to know your tour group at the welcome dinner. Spend the morning relaxing before the long-tail boat trip. Discover Bangkok’s network of khlongs, canals, stopping at an artist village to watch a fascinating Thai puppet show. The boat trip continues on the Chao Phraya River, which is lined with some of the city’s most spectacular buildings, including the Grand Palace. Visit the Temple of the Dawn, Wat Arun, which has spires stretching 70 metres into the sky, covered in sparkling glass and porcelain. You can climb the towers for aerial views of the city. 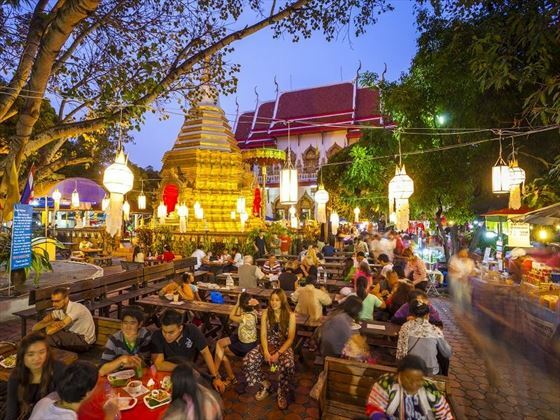 For dinner, take a street food tour by tuk tuk to sample some authentic Thai dishes and end the day by visiting Wat Pho, a temple complex featuring a giant reclining buddha statue. Head out of the city to the beautiful Thai countryside, stopping at Ban Nong Khao Village. 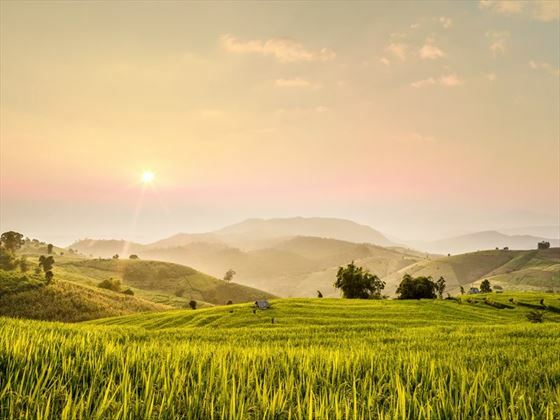 Explore the area by bicycle or truck, taking in views of the lush rice paddies and mountainous landscape. 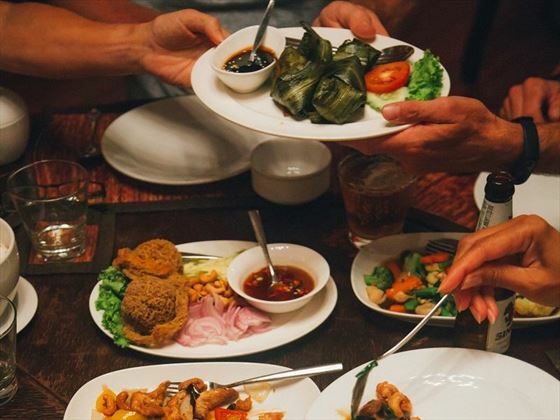 Eat a traditional lunch with a Thai family and learn about their lives before driving to our final stop for the day, a boutique safari lodge by the river. 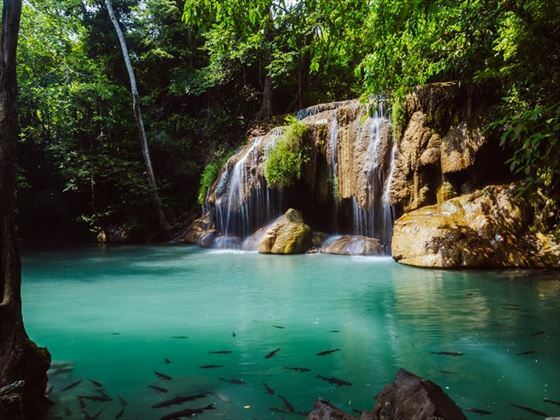 Today you’ll get to know the riverside town Kanchanaburi, which is most famous for its WWII history and Bridge over the River Kwai. During the war, 240,000 Asian labourers and allied prisoners died constructing a railway line stretching from Thailand to Burma, which is now referred to as the Death Railway. Learn about this tragic history at the JEATH War Musuem and pay your respects at the Kanchanaburi War Cemetery. You’ll also have a chance to visit the Bridge on the River Kwai. In the evening, you’ll board a boat to your hotel, the floating River Kwai Jungle Raft. Enjoy dinner and a Mon dance and music show to end the night. Drive to neighbouring Uthai Thani province, stopping to see the 123-metre tall Banhan-Jamsai Tower, which offers stunning views of the surrounding countryside. Relax in the afternoon before a private dinner cruise, where you’ll taste some delicious Thai cuisine. Visit Sukhothai Historical Park, one of Thailand’s UNESCO World Heritage Sites. Tour the ruins of this crumbling site, which was the capital of the Sukhothai Kingdom in the 13th and 14th centuries. After lunch, we’ll continue on to Tak province in the north, where you’ll enjoy a meal prepared by a local family. Today you’ll explore Mae Sot, a district that sits right on the border with Myanmar, where you’ll wander markets and visit rustic temples. After lunch, climb the 400 steps of Wat Phra That Doi Din Kiu, a hillside temple set in the forest. From the top, take in sweeping views stretching into the jungles of Myanmar. Discover one of Thailand’s most popular national parks, Doi Inthanon, which lies in Chiang Mai province. During the drive, we’ll stop at rural villages that have barely changed for decades. Doi Inthanon boasts the country’s highest mountain, which peaks at 2,565 metres, as well as waterfalls, hiking trails, stupas and rare wildlife. This morning you’ll visit some of Doi Inthanon’s treasures, including Prijinda Cave. The limestone cavern is several kilometres deep and filled with stalagmites and stalactities, as well as a Buddha statue. We’ll also stop at a bird conservation centre, where you’ll learn about the colourful bird life in Northern Thailand. In the afternoon, we’ll drive to the peaceful town of Mae Hong Son, which is bordered by mountains and has a scenic lake at its centre. Spend the evening wandering the lively night market and tasting some street food. Today you’ll take a cruise along the River Pai to visit the Long Neck Hill Tribe at Ban Nam Phiang Din Village. Meet the residents and learn about their history. Descended from Burmese people, the women wear rings to lengthen their necks and make a living creating brightly-coloured handicrafts. The tour continues to Chiang Mai, which is known as northern Thailand’s cultural hub. The old walled town is surrounded by a moat and dotted with over 300 temples. Get to know Chiang Mai on a walking tour, where you’ll learn the history of the artsy city, which was once the capital of the Lanna Thai kingdom. Get up close to Thailand’s most iconic animal, the Asian elephant, with an ethical half-day trip to the Elephant Jungle Sanctuary. 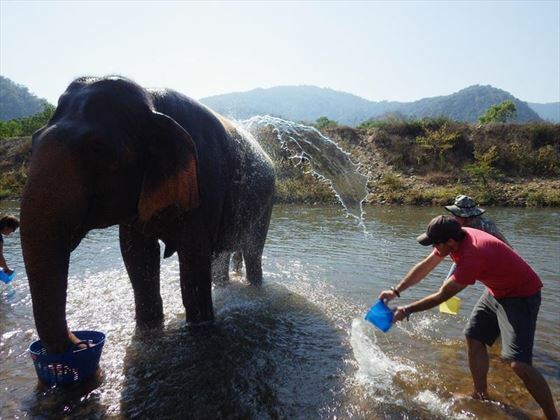 Here you’ll learn about the elephants and conservation, as well as get to feed and bathe them. Return to Chiang Mai for a tasty Khantoke dinner to end the day. The final morning is yours to spend as you please before flying back to Bangkok, where the tour ends. Accommodation: 12 nights in boutique hotels. Food: 12 breakfasts, six lunches and nine dinners. Activities: Bangkok street food tour, boat trip, puppet show, Wat Arun and Wat Pho. Village visit in Kanchanaburi, plus War Cemetery, JEATH War Musuem and Mon dance and music show. Banham-Jamsai Tower, dinner cruise, Sukhothai National Park and Wat Phra That Doi Din Kiu temple. Doi Inthanon National Park, long neck hill tribe visit and Elephant Jungle Sanctuary.